Worldwide Hospitality and Tourism Themes e-journal Volume 10, Number 1, 2019, which Conference Co-chair Dr. Chandana (Chandi) Jayawardena will edit, will be feature many outcome articles based on conference presentations at ICHOT 2017. The title of this theme issue will be: “How does Innovation help in tourism around the world?” The best papers from ICOHT 2017 will be selected for the WHATT v.11 n.1. Scopus, ABI/INFORM Complete, ABI/INFORM Global, Academic Search Alumni Edition, Academic Search Complete, Academic Search Elite, Academic Search Premier, Business Source Alumni Edition, Business Source Complete, Business Source Corporate Plus, Business Source Elite, Business Source Premier, British Library, CIRET, Hospitality & Tourism Index™, Hospitality & Tourism Complete™, ProQuest Central, ReadCube Discover, The Publication Forum (Finland). How will the ICOHT 2017 linked to WHATT? 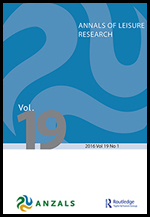 Annals of Leisure Research publishes refereed articles which promote the development of research and scholarship in leisure studies. Ranked as an’A’ journal in the Australian ABDC list. 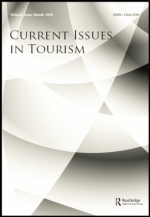 Current Issues in Tourism is one of the world’s foremost venues for the dissemination of innovative, scientific research related to all aspects of tourism. It contains both applied and theoretical work that addresses tourism inquiry, method and practice. 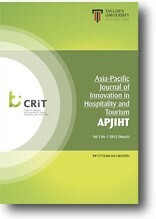 The Journal of Hospitality Marketing & Management is abstracted/indexed in: Academic Universe (Lexis/Nexis); AgeLine Database (AARP); British Library Inside (The British Library); CABI; Cambridge Scientific Abstracts; CIRET; Communication Abstracts; EBSCOhost Online Research Databases; ELMARK (American Marketing Association); Elsevier Eflow-l; Elsevier Scopus; eRTR: e-Review of Tourism Research; Food Institute Report; Foods Adlibra; IndexCopernicus; International Bibliography of Periodical Literature on the Humanities and Social Sciences (IBZ); Intute; JournalSeek; Links@Ovid; Management & Marketing Abstracts; NewJour; OCLC; Ovid Linksolver; Sport Information Resource Centre (SIRC); SwetsWise All Titles; Tourism Insight; World Agricultural Economics & Rural Sociology Abstracts; Emerging Sources Citation Index (Thomson Reuters). 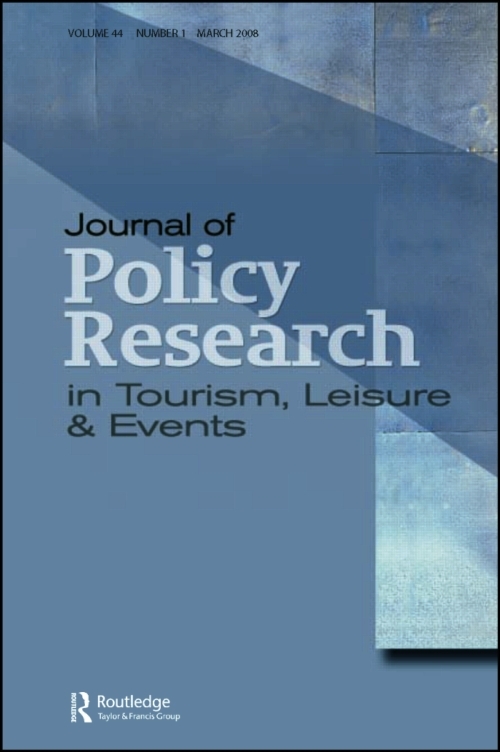 Journal of Policy Research in Tourism, Leisure & Events provides a unique forum for critical discussion of public policy debates relating to the fields of tourism, leisure and events. This encompasses the economic, social, cultural, political and environmental dimensions of official intervention. 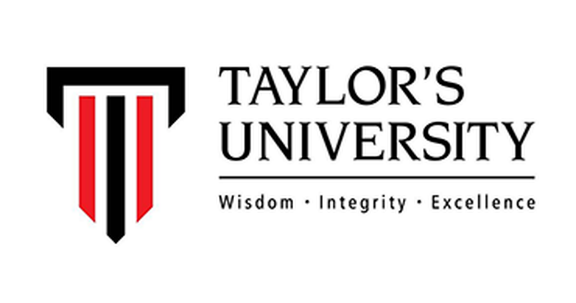 Publisher: The articles published in the journal will cover a multi-disciplinary and inter-disciplinary approach to studying the marketing, finance, economics and social aspects of hospitality and tourism. Papers dealing with theoretical, conceptual and empirical aspects of the subject matter will be considered for publication.